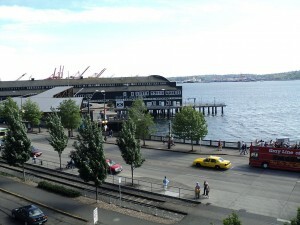 Located right on Pier 59 in the Seattle Waterfront on Elliott Bay, the Seattle Aquarium opened in 1977. 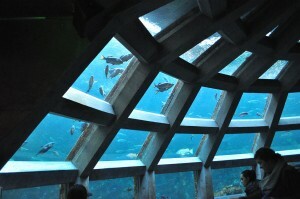 It is managed by the Seattle Aquarium Society and promotes marine conservation. Over 800,000 visitors each year learn about the impact people have on marine life, and get to enjoy some very cool exhibits. Just North of Waterfront Park and the next pier up from the Seattle Great Wheel, the Seattle Aquarium is located right on Pier 59 on Elliot Bay. Come see a world of squishy, bumpy, sleek, vibrant, adorable, furry, exotic and weird. Come see wide-eyed children stand face-to-face with a shape-shifting, color-changing, eight-legged wonder of the deep. Come see how an anemone reacts to a gentle poke from a six-year-old’s finger. Come see otters and seals ham it up for the cameras. Come see your kids have a day they won’t soon forget. What Can I See At The Seattle Aquarium? 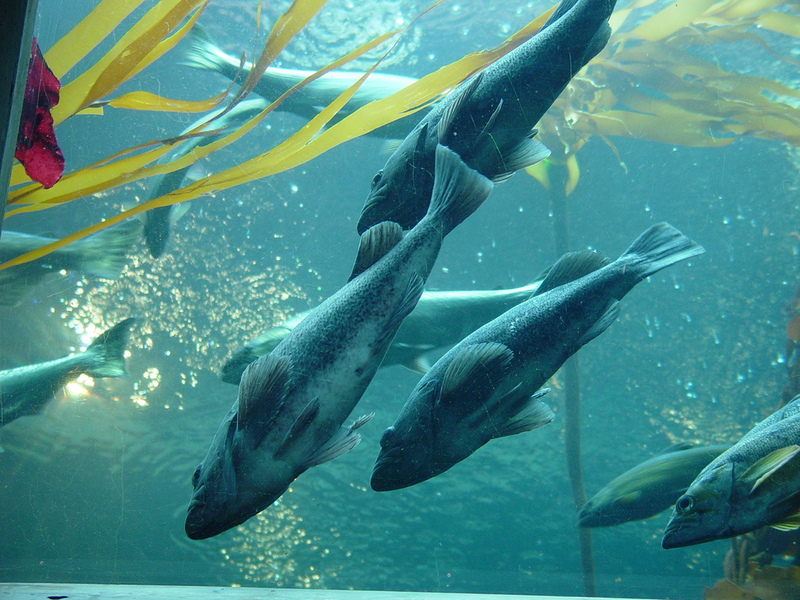 When you visit the Seattle Aquarium you are likely to see Lingcod, Rockfish, Salmon, Skates, Sturgeon, and many more types of aquatic life while in the incredible Underwater Dome. The dome gives a view into a 400,000-gallon tank filled with fish and life from Puget Sound. There is a daily fish feeding at 1:30 so plan your visit to include that time. Visit the Seattle Aquarium and 4 other attractions at a savings of up to 45% with CityPASS. Shop Today! Present CityPASS booklet or voucher at the member/prepaid ticket line to skip main ticket line and receive general admission to all of the aquarium’s major exhibits and frequent interpretive shows that highlight marine life from the Puget Sound region. Searching to Sixgills – Puget Sound’s mysterious sharks! Holiday hours apply on Thanksgiving and Christmas Eve; see website for details. Closed Christmas Day and June 5, 2015. Please register your group in advance to guarantee your desired entry time. A 10% discount is available to groups who register with 20 or more visitors and one person paying for the entire group.